Long time Major Leaguer and 8 year Dodger veteran, Juan Castro, has retired as a player and enters his new life as a Dodger Baseball executive. 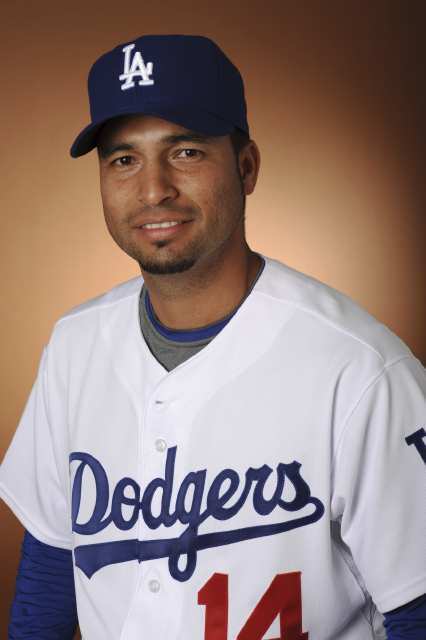 The Los Angeles Dodgers today announced that 17-year Major League veteran and former Dodger infielder Juan Castro has retired as an active player and been named to the position of Special Assistant, Baseball Operations and Player Development. Dodger General Manager Ned Colletti made the announcement. Castro, 39, will spend time in player development and in evaluating at both the minor and Major League levels. Castro is one of the most prolific Mexican players in Major League history, ranking fifth among Mexican-born players in games (1,103), at-bats (2,627) and doubles (123) while finishing seventh in home runs (36), runs (253), hits (601) and RBI (234). Castro represented Mexico during the inaugural World Baseball Classic in 2006. In addition to his glove work at shortstop, Castro owns a .982 career fielding percentage in 251 games at second base and a .954 mark over 264 games at third base. He appeared in the 1996 and 2009 playoffs with the Dodgers and currently resides in Peoria, AZ with his wife and four kids.